For courses in introductory surveying offered in most civil technology, construction technology, and some architectural technology programs. 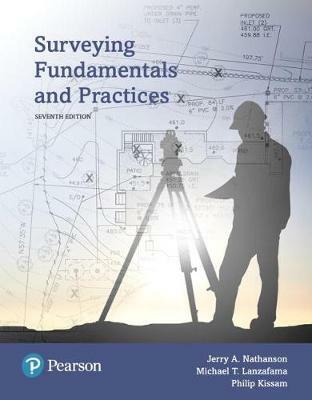 Surveying Fundamentals and Practices, 7th Edition covers up-to-date surveying technology without losing perspective of the need to provide students with a strong foundation in traditional surveying fundamentals. An entire chapter provides a review of the mathematics essential for beginning technology students to understand plane surveying problem-solving methods and applications. Through clear explanations and applied examples, the text presents the methods of measuring and computing distances, angles, and directions. It provides students with a firm grasp of modern equipment and office and field procedures related to horizontal control surveys, property surveys, topographic surveys, roadway curve calculations, and construction layout surveys. The 7th Edition expands upon the surveying applications in today’s world with a section on forensic surveying, updated information on national and industry standards for surveys, and a new section on spiral curve computations.